In my work with clients repetitively traumatized in childhood, I am continuously struck by how frequently the various thought processes of the inner critic trigger them into overwhelming emotional flashbacks. This is because the PTSD-derived inner critic weds shame and self-hate about imperfection to fear of abandonment, and mercilessly drive the psyche with the entwined serpents of perfectionism and endangerment. 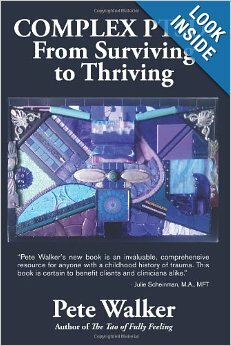 Recovering individuals must learn to recognize, confront and disidentify from the many inner critic processes that tumble them back in emotional time to the awful feelings of overwhelming fear, self-hate, hopelessness and self-disgust that were part and parcel of their original childhood abandonment. Psychogenesis of the PTSD Critic A flashback-inducing critic is typically spawned in a danger-laden childhood home. When parents do not provide safe enough bonding and attachment, the child flounders in abandonment fear and depression. Many children appear to be hard-wired to adapt to this endangering abandonment with perfectionism. This is true for both the passive abandonment of neglect and the active abandonment of abuse. A prevailing climate of danger forces the maturing superego to cultivate the various psychodynamics of perfectionism and endangerment listed at the end of this article. When anxious perfectionist efforting, however, fails over and over to render the parents safe and loving, the inner critic becomes increasingly hypervigilant and hostile in its striving to ferret out the shortcomings that seemingly alienate the parents. Like the soldier overlong in combat, PTSD sets in and locks the child into hypervigilance and excessive sympathetic nervous system arousal. Desperate to relieve the anxiety and depression of abandonment, the critic-driven child searches the present, and the future, for all the ways he is too much or not enough. The child’s nascent ego finds no room to develop and her identity virtually becomes the superego. In the process, the critic often becomes virulent and eventually switches to the first person when goading the child: “I’m such a loser. I’m so pathetic… bad... ugly…worthless…stupid...defective”. One of my clients grief-fully remembered the constant refrains of his childhood: “If only I wasn’t so needy and selfish…if only my freckles would fade...if only I could pitch a perfect game...if only I could stop gagging on the canned peas during dinner...if only I could pray all the time to get mom’s arthritis cured - then maybe she’d stop picking on me, and then maybe dad would play catch with me”. Thoughts As Triggers In extremely rejecting families, the child eventually comes to believe that even her normal needs, preferences, feelings and boundaries are dangerous imperfections – justifiable reasons for punishment and/or abandonment. In the worst case scenarios - where parents use children’s words as ammunition against them - the mere impulse to speak sometimes triggers intense feelings of panic. How could anything the child says not reveal his stupidity and worthlessness...not get him deeper into trouble and rejection? As ongoing neglect and abuse repetitively strengthen the critic, even the most innocuous, self-interested thought or musing can trigger a five alarm fire of intense emotional flashback. To maintain the illusive hope of someday winning parental approval, the child’s anxious striving escalates, and may even become a perfectionism that is truly obsessive/compulsive. More on Perfectionism Perfectionism is the unparalleled defense for emotionally abandoned children. The existential unattainability of perfection saves the child from giving up, unless or until, scant success forces him to retreat into the depression of a dissociative disorder, or launches him hyperactively into an incipient conduct disorder. Perfectionism also provides a sense of meaning and direction for the powerless and unsupported child. In the guise of self-control, striving to be perfect offers a simulacrum of a sense of control. Self-control is also safer to pursue because abandoning parents typically reserve their severest punishment for children who are vocal about their negligence. As the quest for perfection fails over and over, and as sustaining attachment remains elusive, imperfection becomes synonymous with shame and fear. Perceived imperfection triggers fear of abandonment, which triggers self-hate for imperfection, which expands abandonment into self-abandonment, which amps fear up even further, which in turn intensifies self-disgust...on and on it goes in a downward spiral of fear and shame encrusted abandonment. It can go on for hours and days…weeks in environmentally exacerbating conditions…and for those with severe PTSD, can become their standard mode of being. More on Endangerment The importance and magnitude of the critic’s endangerment dynamic cannot be overstated. I have in fact worked with numerous “well-therapized” individuals who were relatively free of perfectionism, but still seriously afflicted with the drasticizing processes of the critic. Moreover, I have seen many individuals challenge and eliminate most of the blatant perfectionist, self-attacking cognitions of the critic without effectively addressing its habit of flooding the psyche with thoughts, images and feelings of fear. I learned to disidentify from perfectionism long before I learned to stop perseverating my critic’s harrowing snapshots of danger into feature long films about my immanent demise into total abandonment, public humiliation, lethal illness, penniless homelessness, etc. One of my clients eventually identified the critic’s endangerment process as: “Critic as Horror Movie Producer”. I sometimes also think of it as: “Critic as Terrorist”. Using Anger to Shrink The Inner Critic : Traumatizing parents customarily use intimidation and disgust to thwart the instinctive fight responses of their children. 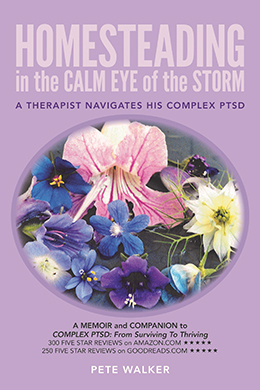 Recovering the anger of the fight response is essential in healing Complex PTSD. I routinely encourage clients to use their anger to stop the critic in its tracks, and to help them move through the various self-attack dynamics that the critic uses to emotionally enforce perfectionism. Invoking the fight response is an irreplaceable tool for thought-stopping the critic’s outdated fear- and shame- based cognitions. Accordingly, I encourage clients to use phrases like “I’m not afraid of you anymore, mom and dad...critic. I’m in an adult body now and I won’t let you hurt me”. Additionally I share Erik Eriksen’s emotional math: “Shame is blame turned against the self”, adding that it is also the parents disgust turned into self-hate. Typically I embellish this with: “You can externalize the anger of the critic’s self-blaming messages out and away from you onto the installers of the critic, or sideways onto the critic itself. You can give shame back by allowing yourself to feel disgusted at the image of your parent bullying you and overwhelming you with shame when you were so defenseless”. An inner critic that has dominated since childhood, however, does not give up its hegemony of the psyche easily. It obdurately refuses to accept the updated information that adulthood now offers the possibility of increasing safety and healthy attachment. It is as if the critic has worn a flashback-inducing groove in the brain the size of the Grand Canyon, and any of the thinking patterns listed below now hair-trigger an amygdala hijacking into abandonment fear and depression. The work of reminding clients that progress in critic-shrinking is often infinitesimally slow and indiscernible at first and can seem as interminable to the therapist as the client. The client’s habituation to only noticing what is wrong and what is dangerous, requires lifelong management. In the early work, I encourage the client to challenge the critic’s monocular negative focus over and over with all the ferocity she can muster. Eventually I ask her if she can find a part of herself that is mad about how grossly unfair her parents’ bullying and indifference was. Is there any part of her that is outraged that she was indoctrinated and inculcated into self-abandonment and self-bullying when she was too young to protest or even know what was happening to her? Is she willing now to gradually build her ability to say “No!” and “Shut up!” whenever she catches the critic, the proxy of her parent, attacking her? Embracing the Critic In my experience, until the fight response is substantially restored, the average complex PTSD client benefits little from the more refined and rational techniques of embracing, dialoguing with, and integrating the valuable parts of the sufficiently shrunken critic – an important part of later recovery work well described in the excellent books: Embracing The Inner Critic, by Stone and Stone and Soul Without Shame, by Brown. Once again however, these left-brained, objective approaches are often of very limited use until they are backed up by a subjective, right brain stance of aggressive self-protection. Perhaps this is because the inner critic appears to align with the extreme right brain dominance of flashbacks (as shown in MRI’s); perhaps inner critic processes are so emotionally charged and dominant that unremediated efforts to resist them rationally and dispassionately fail effetely. Thought substitution is another essential tool for empowering the work of thought-stopping the critic. I sensed many years ago that my critic became as tough as a bodybuilder’s bicep through myriad repetitions. I guessed that if I similarly exercised the type of positive self-talk I describe below, I would create some new and more helpful “muscle” that my thinking process would exercise automatically at times of being triggered. I believe I am not exaggerating when I say that hundreds of thousands of positive thought-substitution have rewarded me with a psyche that is fairly consistently user-friendly. Accordingly, I encourage clients to immediately confront the critic’s negative messages and processes with positive ones, for even one such thought can act like a single virus and rage infectiously out of control into a flu-like mélange of shame, fear and self-abandonment. Moving quickly into thought-stopping and -substitution often obviates a headlong tumble into the downward spiral of a flashback, just as immediate prophylactic measures can thwart the first hint of a cold. Additionally, I often ask the client to write out a list of his positive qualities and accomplishments to recite when he finds himself lost and drowning in self-hate. This is especially important as flashbacks often create a temporary amnesia about one’s essential worthiness and goodness. [Flashbacks seem to involve a temporary loss of access to more current left-brain learning. MRI’s show greatly reduced left brain activity in activated and unremediated PTSD individuals]. Memorizing the list enhances one’s capacity to dissolve that amnesia. Reciting part or all of the list over and over like a mantra also helps during those times when the critic is particularly severe and unsilenceable. If the client has little or nothing for the list, I supplement it with my own observations about her qualities, and I also ask her to seek her friends’ input. Additionally I remind her that qualities do not have to be perfect or ever-present to qualify as qualities. If it is true of them most of the time then, it is a quality. Positive imaging is a powerful adjunct to thought-substitution. Clients can learn to short-circuit the perfectionist and fear-mongering processes of the inner critic by invoking images of past successes and accomplishments, as well as pictures of safe and loving places and friends. The therapist can also use guided meditations to demonstrate and reinforce the use of positive imagery-substitution. Grieving helps shrink the critic I repeatedly point out to clients how the work of grieving their childhood losses helps them to release the painful feelings (especially fear, shame and depression) that fuel the assaults of the critic. (This is step # 9 in the aforementioned “flashback management” article. This article is an elaboration of Step #8). Over and over, I help the client notice how the critic’s intensity typically ebbs dramatically following egosyntonic grieving. With ongoing practice we also begin to notice the spontaneous self-compassion that can come to arise in its place when the critic is not allowed to spoil it. Here is a list of 14 common inner critic attacks divided into the key categories of perfectionism and endangerment. Each is paired with a healthier (and typically more accurate) thought-substitution response. Perfectionism My perfectionism arose as an attempt to gain safety and support in my dangerous family. Perfection is a self-persecutory myth. I do not have to be perfect to be safe or loved in the present. I am letting go of relationships that require perfection. I have a right to make mistakes. Mistakes do not make me a mistake. Every mistake or mishap is an opportunity to practice loving myself in the places I have never been loved. All-or-None & Black-and-White Thinking I reject extreme or overgeneralized descriptions, judgments or criticisms. One negative happenstance does not mean I am stuck in a never-ending pattern of defeat. Statements that describe me as “always” or “never” this or that, are typically grossly inaccurate. Self-Hate, Self-Disgust & Toxic Shame I commit to myself. I am on my side. I am a good enough person. I refuse to trash myself. I turn shame back into blame and disgust, and externalize it to anyone who shames my normal feelings and foibles. As long as I am not hurting anyone, I refuse to be shamed for normal emotional responses like anger, sadness, fear and depression. I especially refuse to attack myself for how hard it is to completely eliminate the self-hate habit. Unfair/Devaluing Comparisons To others or to one’s most perfect moments. I refuse to compare myself unfavorably to others. I will not compare “my insides to their outsides”. I will not judge myself for not being at peak performance all the time. In a society that pressure us into acting happy all the time, I will not get down on myself for feeling bad. Guilt Feeling guilty does not mean I am guilty. I refuse to make my decisions and choices from guilt; sometimes I need to feel the guilt and do it anyway. 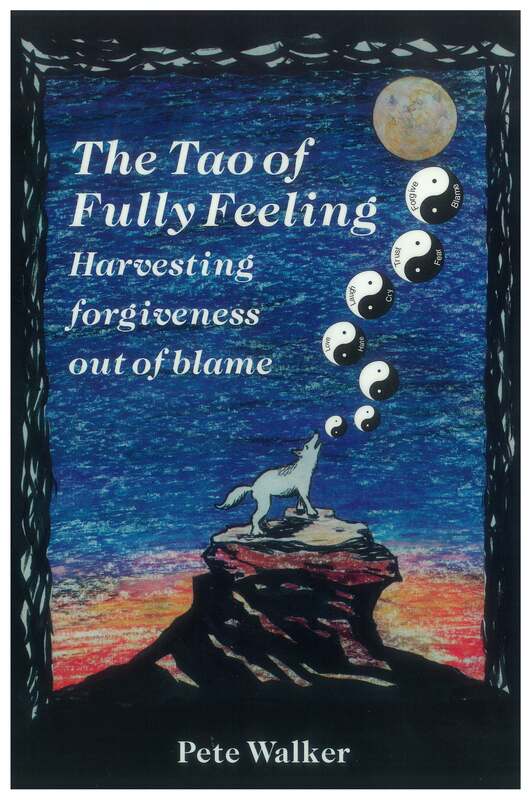 In the inevitable instance when I inadvertently hurt someone, I will apologize, make amends, and let go of my guilt. I will not apologize over and over. I am no longer a victim. I will not accept unfair blame. Guilt is sometimes camouflaged fear. – “I am afraid, but I am not guilty or in danger”. "Shoulding”I will substitute the words “want to” for “should” and only follow this imperative if it feels like I want to, unless I am under legal, ethical or moral obligation. Overproductivity/Workaholism/Busyholism I am a human being not a human doing. I will not choose to be perpetually productive. I am more productive in the long run, when I balance work with play and relaxation. I will not try to perform at 100% all the time. I subscribe to the normalcy of vacillating along a continuum of efficiency. Drasticizing/Catastrophizing/Hypochondrisizing I feel afraid but I am not in danger. I am not “in trouble” with my parents. I will not blow things out of proportion. I refuse to scare myself with thoughts and pictures of my life deteriorating. No more home-made horror movies and disaster flicks. Negative focus I renounce over-noticing & dwelling on what might be wrong with me or life around me. I will not minimize or discount my attributes. Right now, I notice, visualize and enumerate my accomplishments, talents and qualities, as well as the many gifts Life offers me, e.g., friends, nature, music, film, food, beauty, color, pets, etc. Time Urgency I am not in danger. I do not need to rush. I will not hurry unless it is a true emergency. I am learning to enjoy doing my daily activities at a relaxed pace. Disabling Performance Anxiety I reduce procrastination by reminding myself that I will not accept unfair criticism or perfectionist expectations from anyone. Even when afraid, I will defend myself from unfair criticism. I won’t let fear make my decisions. Perseverating About Being Attacked Unless there are clear signs of danger, I will thought-stop my projection of past bully/critics onto others. The vast majority of my fellow human beings are peaceful people. I have legal authorities to aid in my protection if threatened by the few who aren’t. I invoke thoughts and images of my friends’ love and support.